Wrestling is a team sport, as well as an individual one. Each member of the team has the opportunity to contribute to the team’s success, while also enjoying individual achievements. Unlike many other sports, wrestling is one in which the coaching staff does not determine “starters” for the team. Regardless of experience or age, each member of the team will be given opportunities to compete on a regular basis. Building self-esteem, confidence, character, and pride are all huge benefits of being a part of the QND Wrestling Program! The coaching staff strives to consistently build each individual’s level of self-esteem and confidence both in the practice room as well as in the classroom! Check us out! 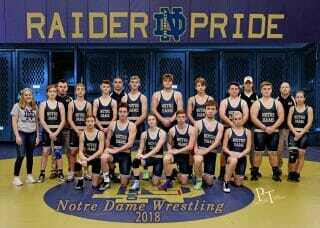 Click Here to visit the QND Wrestling Website.